It is always great to learn quick and easy methods for doing an activity. One that family history researchers and writers could use is how to preform short-cuts on their computer using the keyboard. It can be helpful for document or especially viewing and researching on a web site. Make a copy of those special short-cuts you might use the most and keep them handy until you have used them so often they are second nature to you. Try them – easy to do. These instructions are for the PC (it will vary for those using a Mac computer). For scrolling a page: If you want to scroll down the page of a web site; just tap the long space bar several times. Each time it moves further down the page. To go back up the page — hold the shift key and tap the space bar. To view a full screen without the task bars showing just press the F11 key or you can press the Alt and V and F keys. To return back to the regular view with the task bars press the ESC key. A big help when searching online web text (such as a family database or tree) for a specific name or place is to use the FIND WHAT tool. 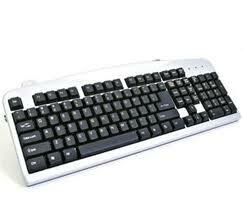 Press the CTRL and the key F. A box appears and you type in the keyword or name you want to look. Then it will search the long text and highlight the word you were searching. Very helpful short cut. Then later use CTRL plus Shift and the T key to return to an earlier search without you repeating the search. If you’ve found a photo, document, or other image and you need to zoom in on to see better, then use CTRL key and then the + key, to zoom in. Each press of the + button makes your image or document larger. To make it smaller press CTRL – (the minus key). To return to its original size press CTRL and the number 0. Here is a web site done by Microsoft which includes other short-cut keys to use. The BEST to learn is the CRTL and C key to copy a highlighted paragraph or sentence. Then use the CRTL and V key to paste it right where you want it. Keep a list handy of the short-cuts, it can be very helpful.